BBC News is reporting a van has plowed into a crowd of people in Barcelona, Spain’s Las Ramblas pedestrian area in what police are calling an apparent terror attack. The attack has occurred during the city’s annual two-week gay circuit party celebration, a period when thousands of gay men flock to the city for various dance parties and bar events. However, it’s unclear whether the attack occurred near a gay venue or involved any LGBTQ people. Witnesses are reporting multiple injuries and deaths as people fled the scene to hide in shops and cafes. One or two armed men inside of the van reportedly exited the vehicle and are now hiding in a nearby bar. 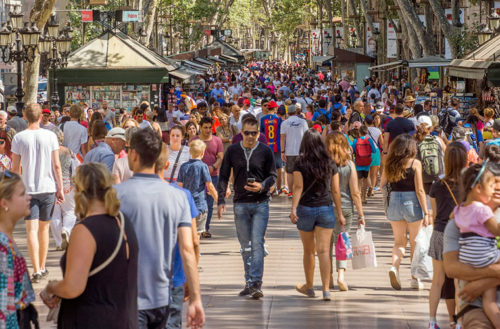 According to witnesses, the Las Ramblas area was jam-packed with tourists and the van stopped briefly before deliberately plowing into the crowd, traveling about six or eight blocks before coming to a stop. Steven Turner, who works in the area said, “There are lots of ambulances and armed police with assault rifles around now.” About a dozen people are said to be laying on the ground where the attack happened. 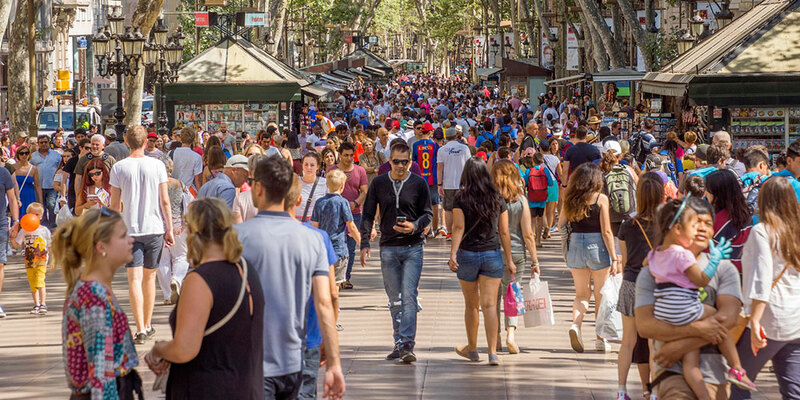 The Las Ramblas area is a central boulevard that runs about 0.75 miles from Catalonia Square to the Christopher Columbus monument near the shore. It’s a popular area with tourists because of its many souvenir stalls, public performers, bars and sidewalk cafes. Though no individuals or terrorist organizations have yet claimed responsibility for the attack, it’s the second vehicular terrorist attack in Europe. Last year on July 14, a large truck killed 85 people after plowing into a Bastille Day crowd celebrating on a promenade in Nice, France. Spain has also been targeted for terror attacks several times over the last 15 years including the 2004 Madrid train bombings that killed 192 people and injured around 2,000, the 2006 Madrid–Barajas Airport bombing that killed two and injured 52, the 2009 Burgos bombing and the Palma Nova bombing which occurred just one day later — the combined attacks killed two people and injured 65.